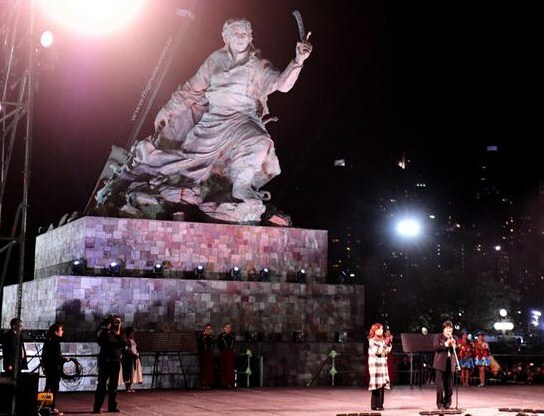 While in Argentina on July 15, Bolivian President Evo Morales joined his Argentine counterpart Cristina Fernandez to unveil a monument to indigenous guerrilla fighter Juana Azurduy, TeleSUR English said that day. The 15-metre high bronze statue to the heroine who fought for South American independence from Spain was erected outside the presidential palace in Buenos Aires where a statue of Christopher Columbus once stood. Festivities throughout the week will celebrate the monument's inauguration as a symbol of “Patria Grande”. The term, which roughly translates as “Big Homeland”, is used in Latin America to refer to the integration process in the region. Indigenous people in Honduras protested against a July 7-11 international conference on mining in the capital Tegucigalpa, TeleSUR English said on July 10. Protesters condemned the human rights abuses committed at the hands of transnational corporations in their territories. The Honduran government claims to be concerned about the environment and proposes “responsible and ecological” extraction. But popular movements have slammed authorities for enabling environmental and human rights disasters through the wholesale sell-off of Honduran territory to foreign mining companies. COPINH condemned the Honduran government's de-facto policy of auctioning off land, resources, and sovereignty in the making of a “transnational dictatorship” over Honduran people. It called on the government to respect democratic process and the rights of indigenous communities to free and prior consent for any development project to take place on their lands.